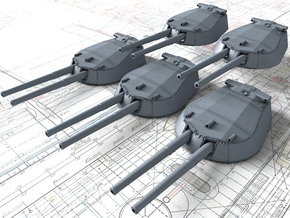 1/600 Scale German Kriegsmarine 15cm/48 (5.9") Tbts KC/36T x1. 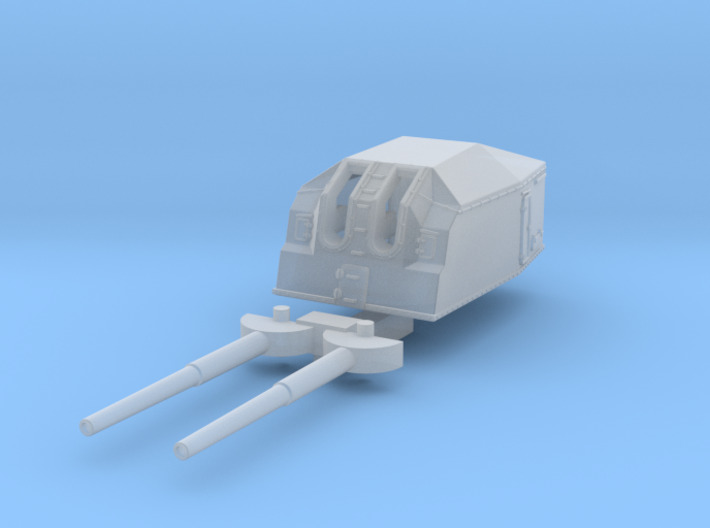 Highly detailed part for the Airfix 1/600 Narvik kit. 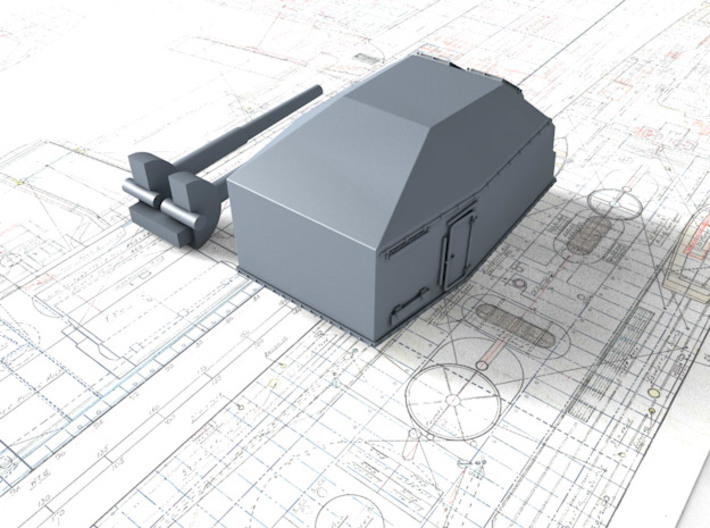 Modelled from plans and using reference photographs for accurate detailing. See My Shop for other scales. 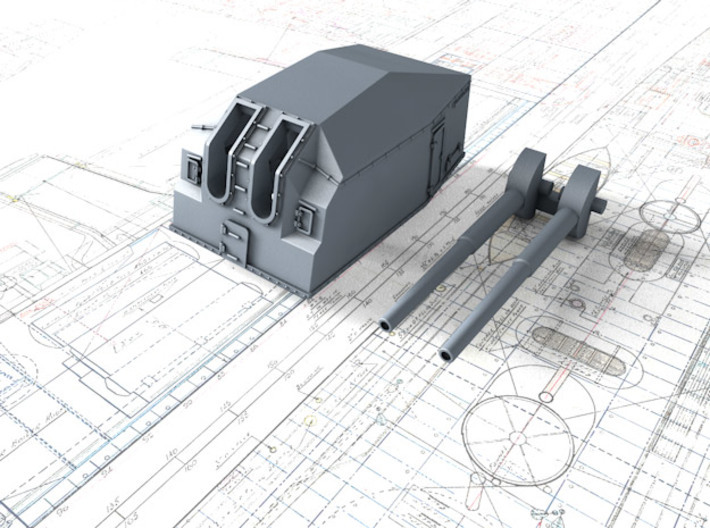 This was a "Torpedo Boat Cannon" used on the German "Narvik" class destroyers (Type 36A and Type 36A Mod). 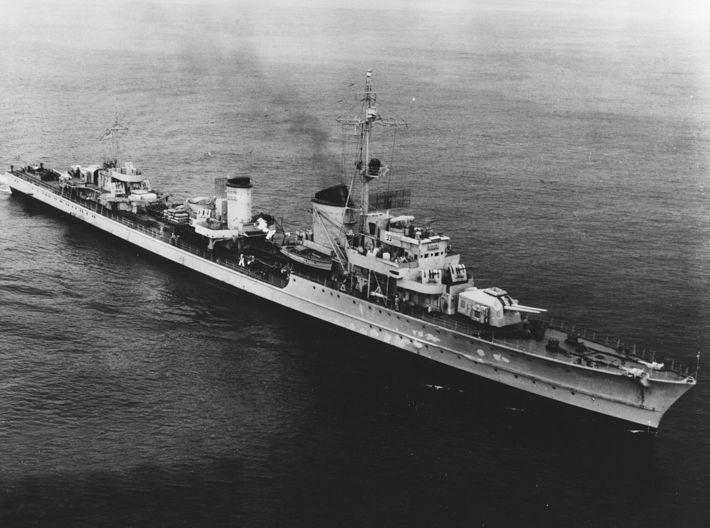 Although this was a powerful gun for a destroyer, it had a slow rate of fire for a destroyer weapon and was really not suitable for such a small ship. 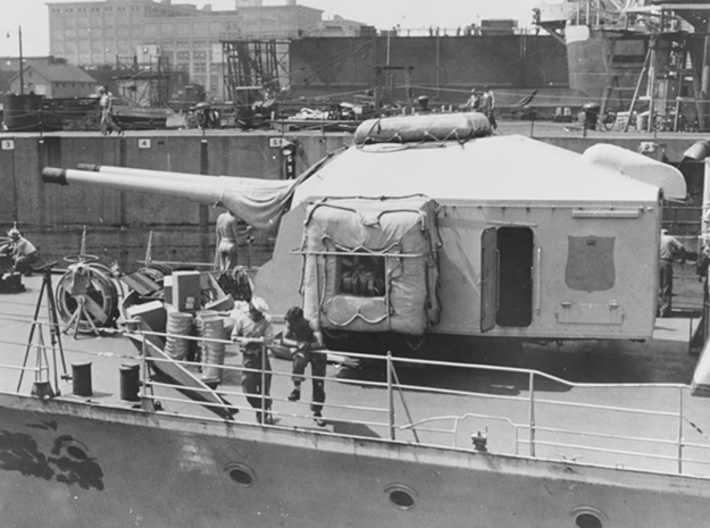 The heavy weight of the shells was also a problem as the gun mountings lacked power assist, meaning that the shells had to be manually fed into the breech. 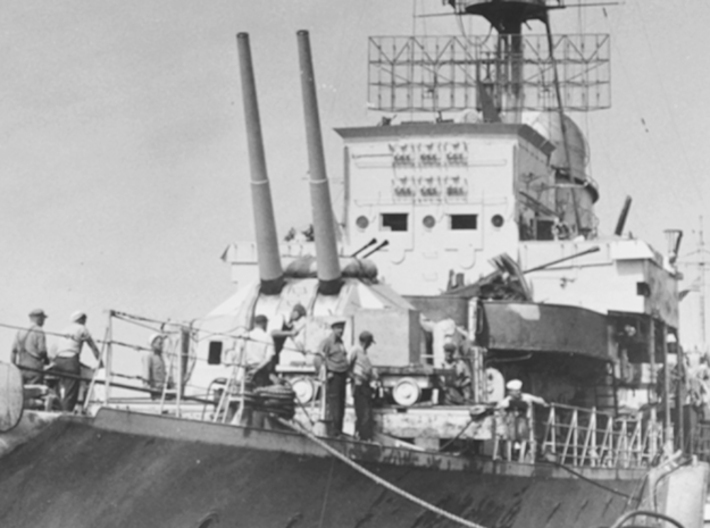 As these guns were used primarily in open mountings, bad weather greatly hampered their operation. 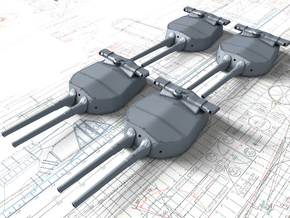 When these destroyers were modified to carry a twin mount forward, the additional bow weight caused them to become very "wet" ships. However, these problems were somewhat offset by the fact that the twin mount was fully enclosed and had a high maximum elevation, thus allowing for limited use against aircraft. 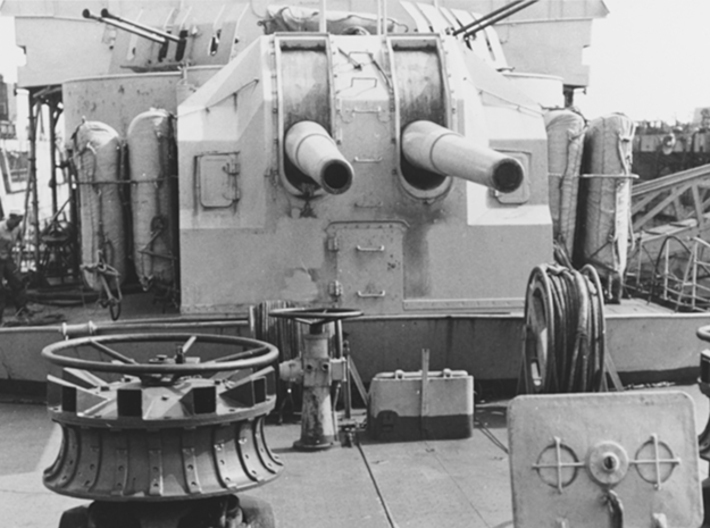 Construction differed from other German 15 cm guns in that the loose barrel could be changed from the muzzle end and that the breech opened horizontally. Other than that, the design was similar to other guns in this caliber and consisted of jacket, loose barrel, breech piece and semi-automatic breech that was opened manually to load the first round. The KC/36 was used in single mountings while the KC/36T was used in twin mountings. 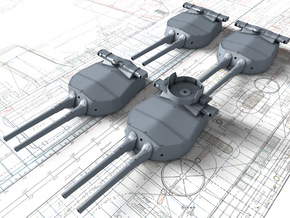 The KC/36T had a breech weight in order to move the center of gravity towards the rear, which gave a more compact gunhouse and lower trunnion height while still being able to achieve higher elevations. 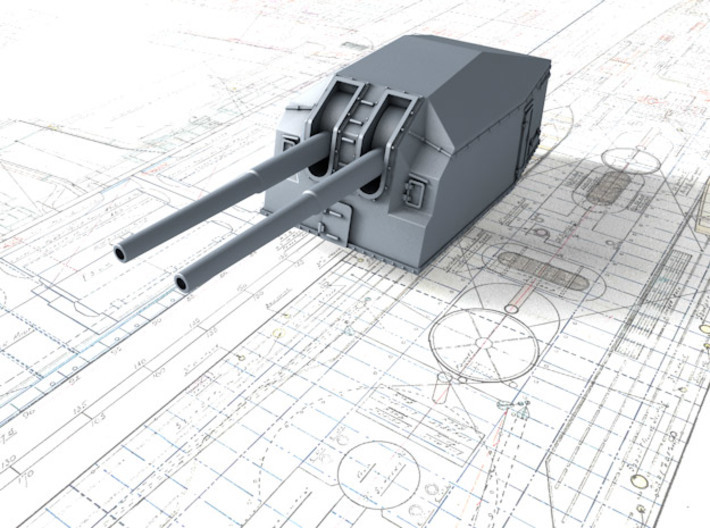 The 15 cm (5.9") was the standard caliber used on most German capital ships and cruisers since the turn of the century. 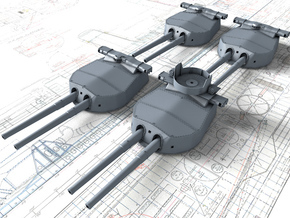 The capital ships used this gun size as their secondary weapons whereas the light cruisers and the "Narvik" class destroyers had these as their main weapons.